The heart of our remote controls is powered by 2100 M/Ah AA size Alkaline rechargable longlife batteries. Their charger is included in the set. These batteries are provided loaded and ready for use. With the system “stand by transmitter” they assure at least 7 days working before their recharge is necessary. This performance lets the user work with the transmitter for a long time free from the bothersome daily recharge. 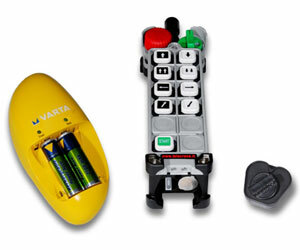 We also provide a spare batteries set that will be ready for use when necessary. The customer will avoid the cost of periodically buying new original batteries and he will be free to buy them everywhere. 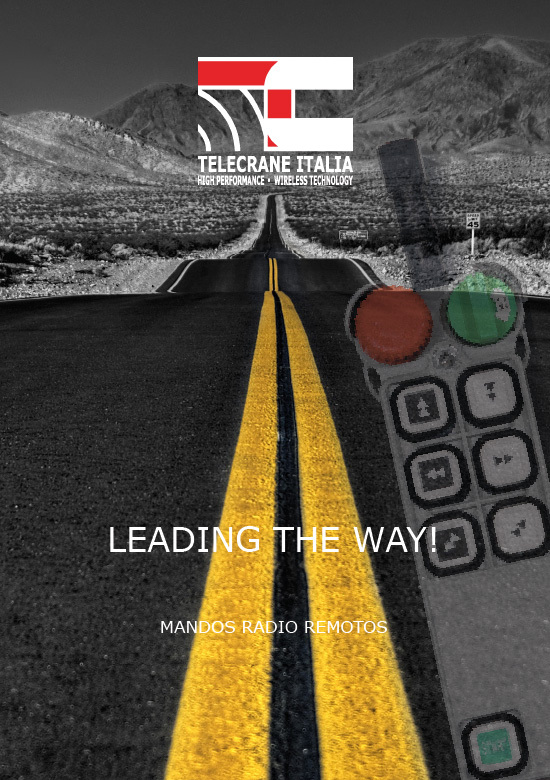 Telecrane Italy is always partner in business with the user.